Violet and her two cohorts attempt to help their "less-fortunate" students at Seven Oaks College - primarily by running a Suicide Prevention Centre and offering their off-beat advice whenever they get a chance. Violet's newest rescue is transfer student, Lily, and Violet wants to teach her how to talk and dress properly, and how to select appropriate men to be interested in. 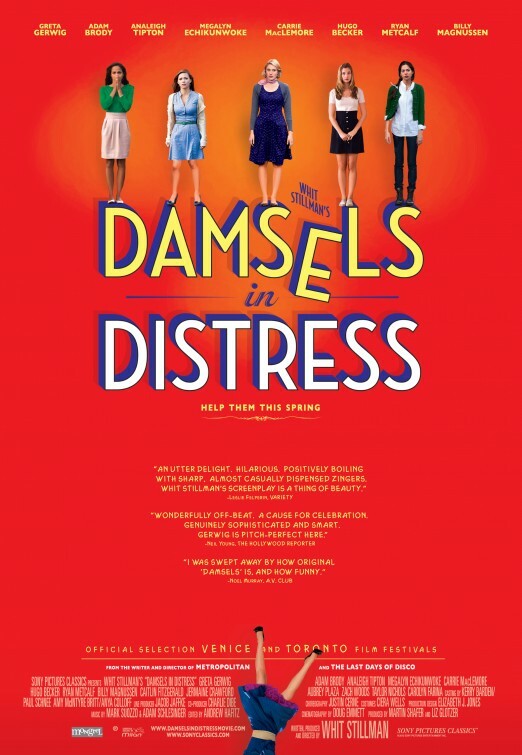 Along their way in helping everybody at the college, the damsels teach the fraternity doofi to hit the books, they get their hearts broken, but then attempt to start an international dance craze.